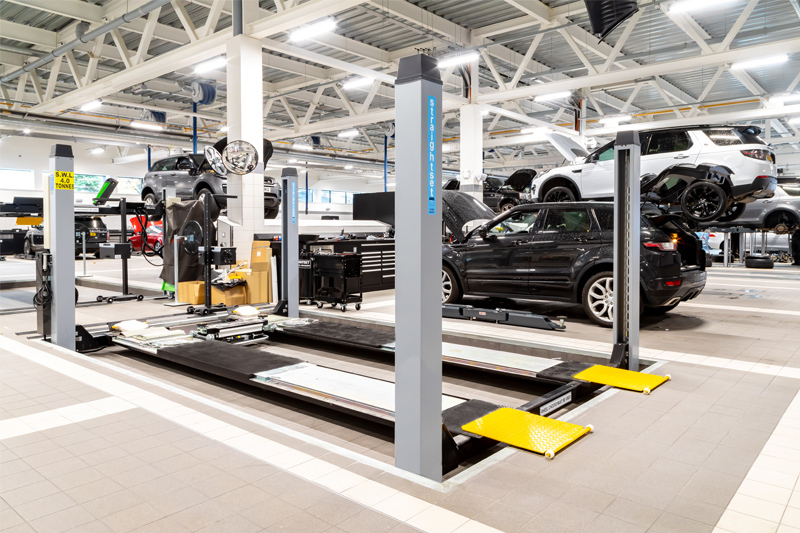 Straightset is an independent garage equipment company, offering the ‘full workshop solution’ – from planning and supply, to installation and service of garage equipment and workshop tools. As a family-run business, with the second generation joining the team, Straightset says it continues to bring its customers quality equipment with aftercare service to match. As an independent company, Straightset carefully selects its manufacturers to bring quality equipment sourced from the EU and US, from brands including Nussbaum, Slift, Werther Int, Shure, HPC, Nederman, Alentec Orion, HPA-Faip, Dura and Bahco – to name a few. The company says its supplier relationships allow it to supply the full range of workshop requirements, including vehicle lifts, MOT equipment, tyre and wheel equipment, air compressors, exhaust extraction, and workshop furniture, through to a full range of tools and workshop accessories. With a large warehouse and storage facility, and a fabrication shop on-site at the company’s Nottinghamshire base, there is an opportunity for customers to access quality manufacturers at great prices. The second-hand range includes two-post lifts, four-post lifts, scissor lifts, air compressors, air dryers, tyre and wheel equipment, and workshop accessories. Straightset has recently partnered with Bahco, to bring the premium supplier’s range of hand tools, power tools, automotive equipment and storage solutions to the UK automotive market. Bahco’s range of cordless tools is brand new to the UK and includes Brushless Impact Wrenches. These powerful yet mobile tools remove the need for air or electric cables, which restrict technicians doing their jobs. The comprehensive range can be bought separately or as complete kits in handy plastic carry cases, and they come in a variety of sizes and power. Next : Are You Equipped for EFBs?